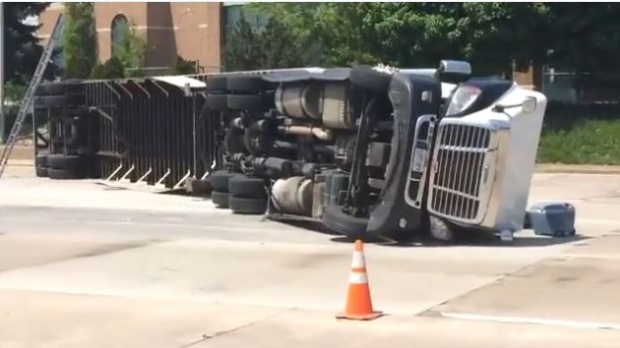 Windsor police say a transport truck has flipped at the Ambassador Bridge. The rollover took place on Huron Church Road, north of College Avenue on Thursday. Police say the accident is blocking the main entrance to the bridge at the bend. There is minimal access through the duty free lot. Motorists are advised to use Wyandotte to access the bridge. The bridge’s manager of operations reports there are a minimal delays and traffic is being diverted to the Wyandotte Street Entrance. 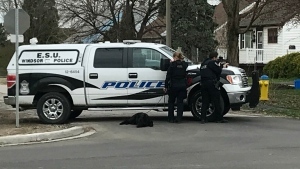 Randy Spader says his staff is assisting in the clean-up with Windsor Police and Fire and expects the scene will be cleared before 7 p.m.